"Promoting Global Collaboration, Unity & Peace through Cultural Diplomacy"
The Annual Conference on Cultural Diplomacy is the world's leading event in the field of cultural diplomacy hosted and organized by ICD in partnership with other leading institutions at the end of each year. This year conference will take place in both Bucharest (November) and Berlin (December). The current political and security situation in many regions and countries together with the deteriorations of social norms for the use of violence, emphasizes the growing need for a greater cultural dialogue, understanding and trust in order to avoid further escalation. The 2017 Annual Conference on Cultural Diplomacy will therefore focus, on raising awareness and support for activities that promote global collaboration, unity and peace. 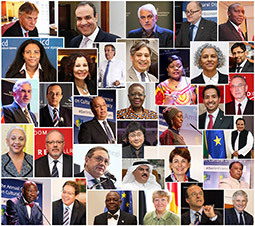 The 2017 Annual Conference on Cultural Diplomacy aims to present successful CD practices in the area of conflict resolution and peace building that the field of cultural diplomacy has to offer to the international community for their application to try to remedy and ease these growing global challenges. The conference will bring together leading politicians, religious leaders, senior academics and celebrated artists together with representatives from areas of conflict in order to establish new institutions and initiatives that will help with these challenges using the practice of cultural diplomacy together with other practices and means. 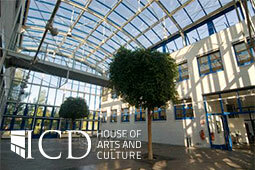 Based in Berlin, the conference will be hosted in the ICD House of Arts & Culture, the German Parliament and several hotels in Berlin. The conference will bring together over 500 speakers and delegates coming from the fields of politics and religion together with senior academics and celebrated artists to promote Global Collaboration, Unity and Peace through Cultural Diplomacy in our interdependent world. Participation in the conference is open to governmental & diplomatic officials, academics, economists, representatives of the Business sector, artists, journalists, civil society practitioners, representatives of the Business sector, young professionals as well as other interested individuals from across the world.